This is an extremely hot topic right now. How do you balance digital ad revenue and user experience if you’re a digital publisher or website owner? At a recent event, some of the largest publishers on the planet recently circled this issue as their core challenge right now. So, what is the formula for balancing these two key site elements? As you might easily guess, the audiences on CNN.com and FoxNews.com are different. They’re behavior’s are different, despite the fact that they are both visiting mainstream news properties. However, not every member of the audiences is the same. An experience may work for 75% of the audience but could be terrible for the other 25%. This is where publishers and website owners have always struggled. How do you strike the right balance between user experience and digital ad revenue without leaving someone out, and where do you even start? Below, I’ll share some data and learnings from sites that have done this successfully, and share some information about how to do this yourself. Before we even talk about balancing user experience and digital ad revenue, we have to talk about how to look at earnings in this context. You will never be able to properly measure user experiences and digital ad revenue together if you are using CPM’s as your core revenue metric. This is a drum I beat a lot but it is more relevant now than ever. Unfortunately, CPM’s are a metric deeply rooted in our industry. It’s how some publishers sell direct deals and how it’s how ad ops teams have measured programmatic success for nearly a decade. The problem is that CPM’s are misleading as a success metric. They represent the cost that it takes for an advertiser to buy a thousand impressions. They do not take into account the impact that an ad has on user experience or the impact that a single ad has on other ads (remember ads dilute all other ads on a page — see image below for example of this). This means CPM’s could be going up while site revenue is going down. 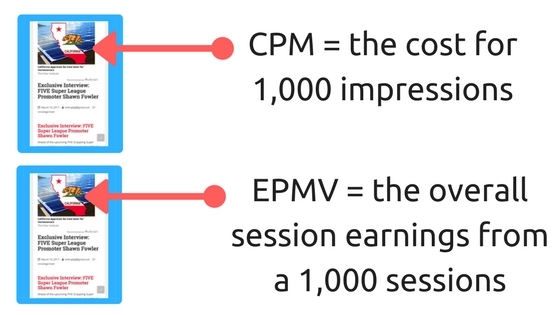 EPMV (earnings per thousand visitors/sessions) is the best metric for digital publishers to use when talking about earnings over the lifetime of a user session. It automatically takes into account things like bounce rate and pageviews per visit. It also can account for how ads might dilute all other ads on a page. It will allow you to see how much money you are making from your ads over the course of 1,000 user sessions. It can be a true north for publishers. It cannot evaluate how individual ads are performing, but it can help you most accurately measure your efforts to improve overall earnings and user experience are doing. The most eye-opening experiment we can do here is called the landing page experiment. We’ve talked about it once before. It is one of the best ways for publishers to evaluate the dramatic effect of user experience on digital ad revenue. It also provides web property owners with some actionable insights into how they should be really looking at the revenue-producing potential of different pages. On landing page A above, you can see that — in this scenario — it is one of the highest earning pages for this publisher. 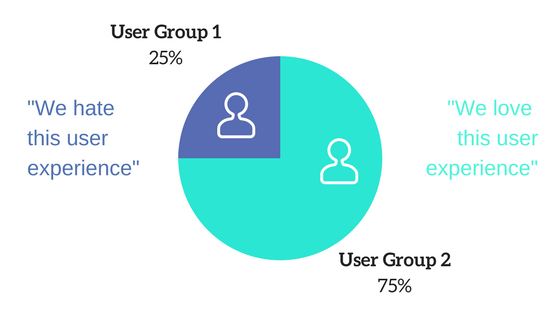 User experience metrics on the page are below average compared to other pages. Nevertheless, it is a win for this publisher, right? This particular content, set of ads, layout, and all of the other things that affect user experience, are effectively producing the highest eCPM, so therefore, it is the highest earning page, right? ….WRONG! On landing page B above, this is a page with a site average eCPM, but better than average user experience metrics for the site. When compared on digital revenue alone, landing page B loses to landing page A. As a standalone page, it simply earns less. However, once you factor in the user experience metrics and look at the session revenue from users that land on both pages, you’ll find that landing page B blows landing page A away! As you can see, when we look at the total session revenue per one thousand sessions from both of these landing pages, landing page B produces more session revenue. This is why user experience is inexorably tied to revenue. The way ads, layouts, and sections of content affect user experiences will directly affect overall session earnings from visitors. Most publishers aren’t able to look at their data this way, but they should start! To do this you can tag up all of your pages and ad tags with separate, correlated URL parameters, and link then them with Google Analytics. Then, view those tags through the GA landing page view. You can extract this all into some kind of spreadsheet to do this analysis. You can also get these insights from advanced reporting inside Ezoic. The example above makes a great case for why user experience should always be considered when optimizing digital ad revenue, but where do you start testing and making changes? Publishers typically improve user experience metrics and increase revenue at the same time by doing this…. The first thing to think about is where your ads are physically located. This is one of the easiest places to start this entire exercise. It is low impact and requires very few changes on the part fo the publisher in most cases. Multivariate ad testing is the best way to approach this process. Simple A/B testing is simply too inaccurate to produce optimal results on this front. This is where you can take your landing page data and compare the EPMV’s of different landing pages relative to different ad combinations you’ve tried. Optimizing your ad combinations with your landing page EPMV’s is the perfect place to start balancing user experiences and digital ad revenue. Publishers typically improve user experience metrics and increase revenue at the same time by doing this. This is the best way to leverage your reporting and data collection from the two things we’ve talked about so far in this article…. testing and landing page EPMV’s. You might think that if you can accomplish the process above that you’ll be set and fully-optimized for user experience and session revenue. Unfortunately, that’s not totally the case. 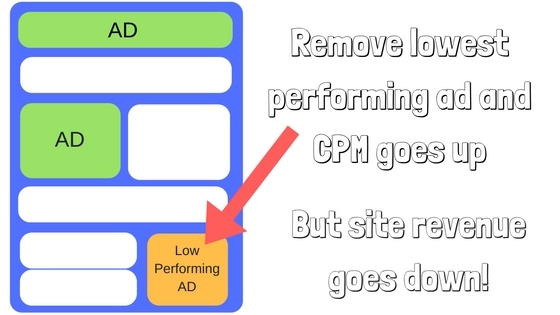 Even if you get everything right, the optimal ad combination will not be optimal for every user. It will simply be the best “on average”. Providing a personalized ad combination for every user is actually the best way to maximize revenue while accounting for UX at the same time. Unfortunately, this is not particularly easy to do for most publishers. The best way to approach this is by focusing on look-a-like audiences. See how different geographical areas, visitors at differents time of day, and other easy to segment demographics respond to your ad testing. 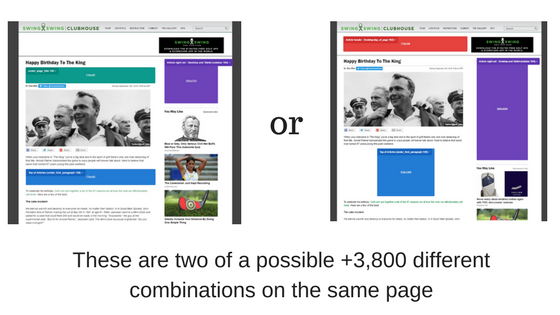 Most publishers will lack the technical savvy to deliver different web experiences to each of these different look-a-like audiences once the testing is done, but if you have the technical resources to do it, this is by far the best way to truly optimize UX and revenue together. What else can be used to balance user experiences and revenue? Beyond ads, there only a few other site elements worth testing to see how they affect revenue (both positively or negatively). Many sites have done some form of layout testing previously; however, remember our discussion above about multivariate testing. Publishers may find that in-depth layout testing offers some major benefits to EPMV, but A/B testing is a long arduous process that often can yield confusing results if it is not done properly. This is why it’s worth it to explore layout testing if you’ve already been in the trenches testing your ads. The last few elements that have a pretty big impact on the visitor journey and their experience on your site’s pages are videos and images. Videos in of themselves are a very hot topic right now. They can have really strong effects on UX (both good and bad). I’ll dig into both of these a little deeper in another upcoming blog post. It is proven that it is best to start with testing ads to see how they can potentially affect user experiences and digital ad revenue together. If ad testing is going well, it’s worth thinking about how you might be able to perform some scalable multivariate layout testing as well. If you want a formula for balancing digital ad revenue and user experience, you have start with looking at how those two elements affect each other. EPMV is the best metric for publishers to gauge how changes are affecting both sides of the coin. Ad testing is one of the easiest ways to start balancing out these two elements. Equipped with landing page EPMV, you can start making a lot more thoughtful choices about ad locations and combinations. If you have exhausted the benefits of ad testing, it is worth an exploration of what multivariate layout testing might be able to provide. How have you done these tests before? How have they worked out for your site? 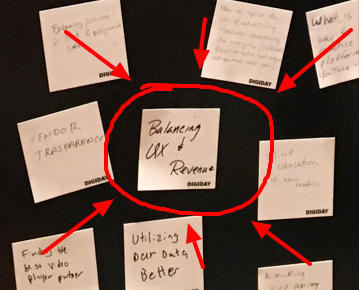 How do you balance user experiences and digital ad revenue? Let me know below… I respond to all comments. Thank you, Tyler for explaining the relationship between user experience and digital ad revenue. EPMV is one of the best metric for publishers in order to know which one is working well for them.